Did you know that there are nearly seven billion cell phone subscriptions? This means that there’s almost one cell phone subscription for everyone on the planet. In fact, cell phones are more accessible than toilets. While you may think you know everything there is to know about mobile phones, there are likely several companies you haven’t heard of that offer valuable mobile phone advice and services. 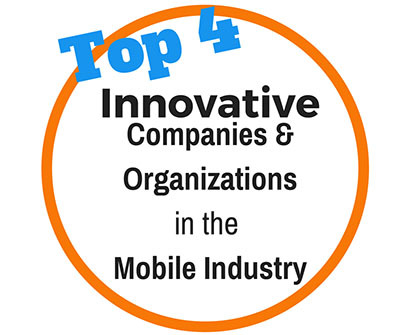 Here’s a quick look at the top 4 companies you need to know about. You’ve probably heard of companies that let you trade your old devices for cash, but what about trading them for charity donations? Gizmogul specializes in providing cash for cell phones, with a portion of the proceeds being given to charities. You can even choose for all of your phone’s proceeds to be given to a charity. And if you’re looking to buy a phone, Gizmogul can help you purchase one that meets your needs, and when making the purchase, you can feel good knowing that part of the money being spent is going to a charity. Did you know that a little sticker could save you enormous amounts of money on roaming fees? Yep, that’s right! KnowRoaming provides its customers with a sticker that goes on their SIM cards in their phones. When using the phones at home, normal carrier rates apply. However, when traveling abroad, the sticker activates itself and the phones switch to the KnowRoaming network, which provides cheap roaming rates. Remember, prior to using it – you’ll need to unlock your phone first. One of the best ways to support our beloved freedom is by joining the Armed Forces. Another great way is by making sure that each soldier has a reliable way of communicating with their loved ones back home, and this is the goal that Cell Phones for Soldiers strives to achieve. The organization focuses on collecting funds and phones to give to soldiers who are both overseas and at home. You can either sell your phone to the organization or donate it for free. It’s a win-win for everyone. The Free Government Cell Phones organization specializes in providing valuable information related to helping people in need find free phones and free carrier services. When it comes to being a go-to source for all things relating to free phones, this is the organization you want to contact. There are literally hundreds of programs that offer free phones and service, and Free Government Cell Phones can help you connect with the correct service provider. And even better is that the organization can help you become a government phone program sales representative, with the potential of earning more than $1,000 a week.